IBM - 26K4859 IBM - 2GB DUAL CHANNEL PCI-X FIBRE CHANNEL EXPANSION CARD FOR IBM ESERVER BLADECENTER (26K4859).NEW BULK. IN STOCK. SHIP SAME DAY. IBM - 48P7061 IBM - ESERVER BLADECENTER FIBRE CHANNEL EXPANSION CARD (48P7061). CLEAN TESTED. IN STOCK. SHIP SAME DAY. 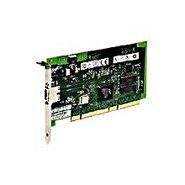 Hewlett Packard - AB466A HP/COMPAQ - 2GB DUAL CHANNEL 64BIT 133MHZ PCI-X FIBRE CHANNEL HOST BUS ADAPTER (AB466A). NEW BULK. IN STOCK. SHIP SAME DAY. Qlogic - QLA2200/F66 QLOGIC - SANBLADE 1GB 64BIT 66MHZ PCI FIBRE CHANNEL HOST BUS ADAPTER (QLA2200/F66). CLEAN TESTED. IN STOCK. SHIP SAME DAY. Qlogic - QLA2340 QLOGIC - STORAGEWORKS FCA2214 2GB SINGLE CHANNEL 64BIT 133MHZ PCI-X FIBRE CHANNEL HOST BUS ADAPTER (QLA2340). CLEAN TESTED. IN STOCK. SHIP SAME DAY. Hewlett Packard - 394757-B21 HP/COMPAQ - EMULEX BASED DUAL PORT 2GB PCI-X FIBRE CHANNEL MEZZANINE HOST BUS ADAPTER FOR PROLIANT SERVERS (394757-B21). NEW BULK. IN STOCK. SHIP SAME DAY. 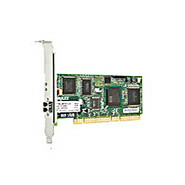 Hewlett Packard - 399853-001 HP/COMPAQ - EMULEX BASED 2GB DUAL PORT PCI-X FIBRE CHANNEL MEZZANINE HOST BUS ADAPTER FOR PROLIANT SERVERS (399853-001). NEW BULK. IN STOCK. SHIP SAME DAY. EMULEX NETWORK - LP1050DC-F2 EMULEX - STORAGEWORKS 2GB DUAL CHANNEL 64BIT 133MHZ PCI-X FIBRE CHANNEL HOST BUS ADAPTER (LP1050DC-F2). NEW BULK. IN STOCK. SHIP SAME DAY. 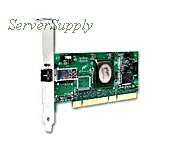 IBM - 80P4384 IBM - TYPE 4-W 2765 2GB SINGLE PORT 64BIT PCI LC FIBRE CHANNEL HOST BUS ADAPTER (80P4384). NEW BULK. IN STOCK. SHIP SAME DAY. Hewlett Packard - 366028-001 HP/COMPAQ - STORAGEWORKS 2GB DUAL CHANNEL 64BIT 133MHZ PCI-X FIBRE CHANNEL HOST BUS ADAPTER (366028-001). NEW BULK. IN STOCK. SHIP SAME DAY. Hewlett Packard - A7387-63001 HP/COMPAQ - STORAGEWORKS 2GB DUAL CHANNEL 64BIT 133MHZ PCI-X FIBRE CHANNEL HOST BUS ADAPTER (A7387-63001). NEW BULK. IN STOCK. SHIP SAME DAY. 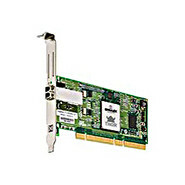 Qlogic - QLA2202F-CK QLOGIC - SANBLADE DUAL CHANNEL 64BIT 66MHZ PCI FIBRE CHANNEL HOST BUS ADAPTER (QLA2202F-CK). NEW BULK. IN STOCK. SHIP SAME DAY.